First Came Fashion: Lentil & Ham Soup. Nothing like a little comfort food. 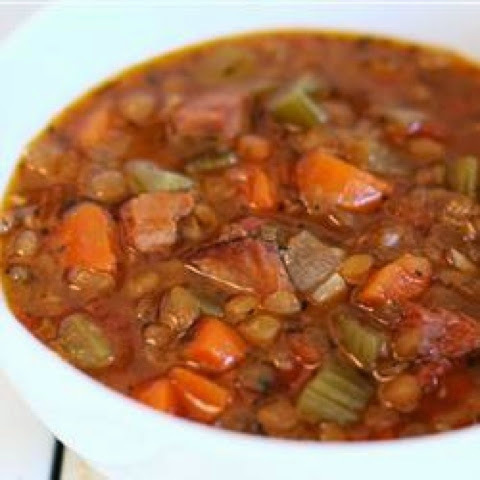 Directions: In a large slow cooker combine the lentils, celery, carrots, onion, garlic and ham. Season with basil, thyme, oregano, the bay leaf and pepper. Stir in the chicken broth, water and tomato sauce. Cover and cook on Low for 11 hours. Discard the bay leaf before serving.